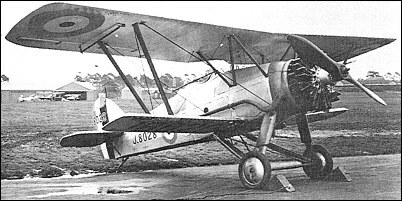 Designed by J Lloyd to the Air Ministry specification F.9/26, the A.W.14 Starling was a staggered biplane with wings of unequal span and chord. Of fabric-covered rectangular-section steel-tube fuselage, the wings were steel spars, wooden ribs and fabric skinning. 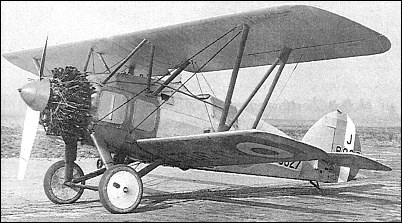 Two prototypes were ordered, the first flying on 19 May 1927 with an uncowled 385hp Armstrong Siddeley Jaguar VII two-row 14-cylinder radial. The engine was later replaced by a supercharged Jaguar IV rated at 410hp at 2745m and enclosed by a Townend ring cowling. Armament was two 7.7mm Vickers Mk II machine guns. Competition in the F9/26 competition at Martlesham Heath against the officially sponsored Annstrong Whitworth Starling, Boulton-Paul Partridge, Gloster Goldfinch and Hawker Hawfinch, was therprivate venture Bristol Bulldog. The Starling proved disappointing, and the second prototype was abandoned in favour of an entirely new design known as the Starling II. The A.W.14 Starling II bore no relationship to the original Starling apart similar construction. 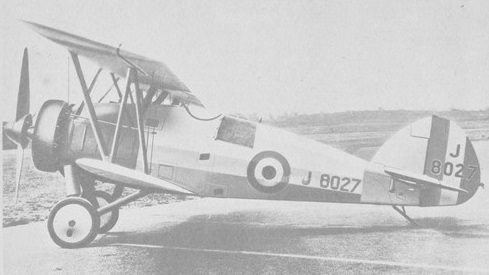 Powered by an Armstrong Siddeley Panther IIIA 14-cylinder two-row radial rated at 540hp and armed with two Vickers Mk II machine guns, three prototypes were completed and flown in 1930, one being a shore-based fighter to the requirements of F.9/26 and the other two being private venture tenders to the N.21/26 fleet fighter specification. The land-based prototype had an uncowled engine and the shipboard prototypes featured Townend ring engine cowlings. No production orders were received.